Peter Jeffery died in Cape Town on 10 April 2015, having battled complications of cardiac surgery for nearly 6 months. Peter was always larger than life. He was a born leader with a drive to achieve and a remarkable ability to get people to work together. His contribution to surgery in South Africa, and in particular to the Association of Surgeons of South Africa (ASSA), was substantive. Peter matriculated at Diocesan College in Cape Town in 1961 and graduated with an MB ChB from the University of Cape Town (UCT) in 1968. He immediately embarked on a surgical career, completing his primary fellowship in Dublin in 1971, the FCS (SA) in 1975 and the FRCS (Edinburgh) in the same year. Having completed most of his surgical training with Ed Immelman at Groote Schuur Hospital, he was appointed senior part-time consultant on Ed's firm in 1976. In that year he founded the surgical partnership that was eventually to bear his name, together with John Gasson, Garron Caine and Syd Cullis. 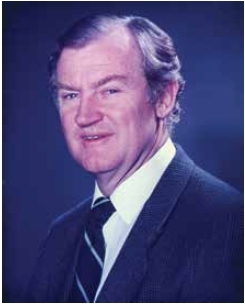 Peter's chief surgical interest was vascular surgery, although he and Syd were instrumental in establishing one of the first private endoscopy services in Cape Town. In the mid-1970s, major arterial operations were uncommon in private practice. Peter became one of the country's leaders, particularly in vascular ultrasound and in endovascular surgery. Vascular ultrasound was in its infancy in the 1980s. Groote Schuur Hospital could not provide the service but Peter was determined to teach himself and acquire the necessary skills and equipment. He started studying patients using cardiology equipment and after a while established a private vascular laboratory in Cape Town. In 1989, having returned from a visit to the USA with some basic endovascular skills, he began an endovascular programme assisted by interventional radiologist Phil Harries-Jones. This was the start of endovascular procedures performed by surgeons in this country. I joined Peter in partnership in 1990 to expand the vascular practice, which now comprises four vascular surgeons. Peter increasingly took on the responsibility of our practice management. The fact that our partnership, which now numbers 13, has managed to thrive for nearly 40 years is largely due to his leadership. These leadership skills became widely recognised by his colleagues. Peter was secretary of ASSA from 1988 to 1994, treasurer of ASSA from 1994 to 1998 as well as from 2000 to 2007 and served as President from 1998 to 2000. In 2011 he was elected honorary Life President. In addition Peter served on the executive committee of the College of Surgeons and the executive committee of the Vascular Society. In 2006 he was elected President of the Association of International Vascular Surgeons. In 2000, following the retirement of Ed Immelman, Peter was invited to become Head of Vascular Surgery at UCT and Groote Schuur, a rare honour for an individual in private practice. He led the department with distinction until 2004. During this time he had a profound influence on several trainees who were destined to become leading vascular surgeons including Patrice Mwipatayi, Bumi Omotoso and Martin Forlee. An added dimension to Peter's many talents was his passionate interest in computing. Peter started teaching himself computer skills with the first-generation Apple computers in 1983 and already then saw the potential for computers to revolutionise medical practice. He dreamed then of a world without paper folders and where every patient record would be digital. His tenacity achieved this for our practice in 1989. Beyond medicine, Peter was passionate about his family, his friends, sailing and skiing. He had a huge impact on so many lives, as attested to by the full Bishops chapel at his funeral on 17 April. He was not only a very gifted surgeon, but a most compassionate doctor. Peter always put his patients, his family and his colleagues ahead of himself. Our condolences go to Muffy, Colin, Lucie and his extended family.